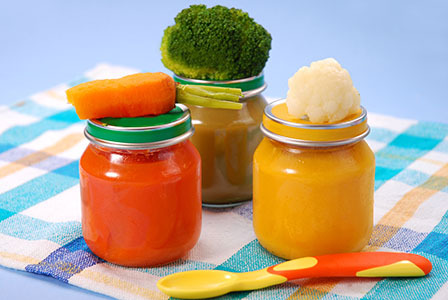 Make baby food at home by simply mashing cooked carrot, sweet potatoes, squash, beets, peas, yams, banana, pears, peaches or any other vegetable or fruit. There’s no need to add sweeteners or dairy products. Using Organic food is highly recommended.